This book surprised me, because the supernatural bend in this story isn’t one I typically enjoy. But Ashes & Ice is refreshingly original with an intriguing mythology, and it didn’t always go in directions I expected. I really loved Connor’s character growth throughout the novel, and Jade’s character as a whole. The writing style was lovely; very lush and descriptive with some spine-tinglingly chilling moments. Just very well done overall. Warm Bodies was an interesting break from my typical reads. I’m not really much of a zombie girl. I will indulge from time to time but for the most part, zombies are just not my thing. The whole quest for brains just seems a bit grotesque to me. But Warm Bodies was different. After seeing the preview for the movie, I had to know what this whole concept was about. Let’s face it, love being able to conquer everything, including zombieism (sp? ), that’s a epic theme anyone could get behind. So, what made this story stand out? I just really, really loved “R.” The way he sees the world and his current existence was just so beautiful and downright philosophical. A zombie philosopher? I know, right?! His determination to be better than his circumstances was moving, and honestly, convicting. In short, this was a really interesting read and if you’ve got an itch to change things up a bit, this is a great read to do just that. This book was so cute! 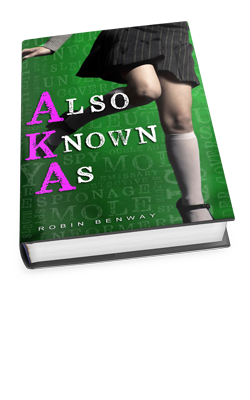 It was an extremely enjoyable read, and the characters were compelling. It was unconventional, and I highly recommend it! 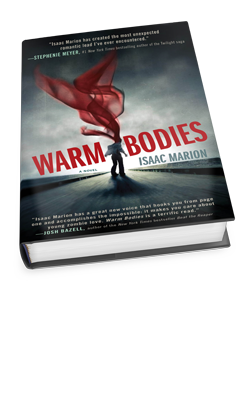 Gosh, I’ve really got to read Warm Bodies already. For some reason, I feel like I need to read the book before I see the movie. And I really want to watch the movie!